So, you are looking to move to the beautiful city of Montreal! This amazing place has so much to offer, including delicious poutine, stunning museums, many different festivals, as well as a new home for you to rent! 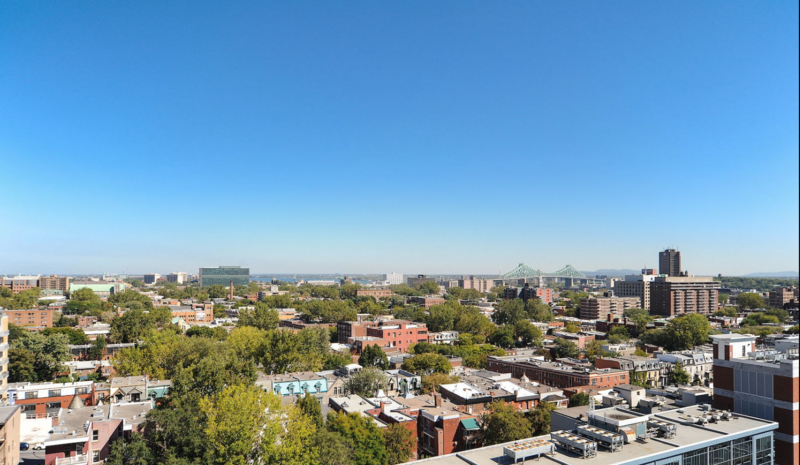 Montreal resides on a small island on the Saint Lawrence River, so having a home with a view is not a problem. This city is booming with activity and culture, and each neighborhood has something different to offer. Are you trying to figure out which part of the city to move to? 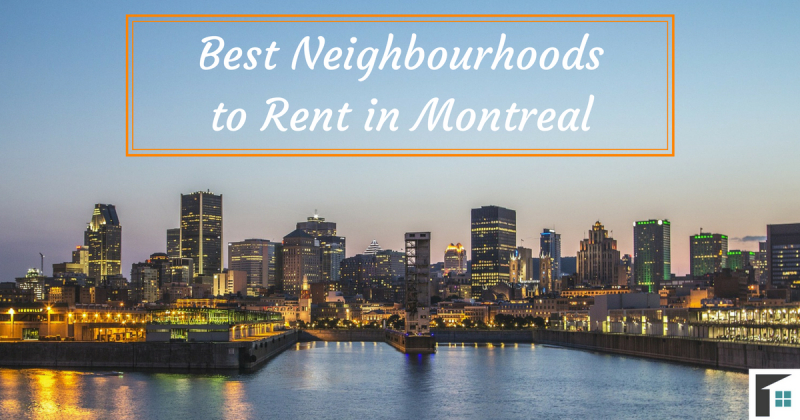 Here are the best and most popular neighborhoods to rent in Montreal! If you are looking for somewhere vibrant to rent in Montreal, consider Mile-Ex! The central Montreal neighbourhood of Mile-Ex is claimed to be one of the city’s most interesting neighbourhoods by CNN Travel. This artistic part of the city is home to artists of all sorts, and is filled with museums, bookstores, and theaters. The most well-known, is the Theatre Rialto, a former movie palace in the 1920’s, is home to entertainment of all sorts. If you are looking to move to a neighbourhood filled with artistic opportunity, then the Mile-Ex neighbourhood is for you! Currently, there are 7 rentals available with an average price of $616. 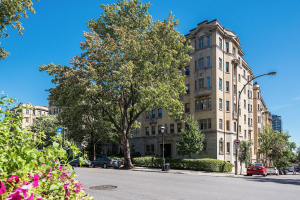 Found in the center of the city, La Petite-Patrie neighbourhood is recognized as one of the best to rent in Montreal. According to MTLblog, this neighbourhood has it all: cafes, all the necessary amenities, ease of public transit, and affordable living. The area is even known for the all-day breakfast spots, perfect for those late-morning risers. La Petite-Patrie is home to hundreds of small boutiques, perfect to attain that local-small-town feel. In addition to the hipster style, there is also Latin influences in the restaurants, that are sure to spice up every meal. 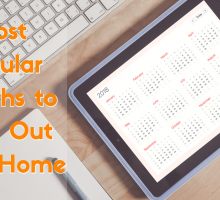 There are only 3 rental listings available at the moment, with an average rental price of $650. 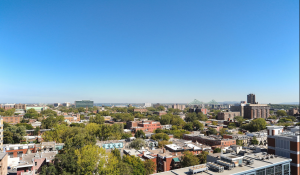 If you prefer to have a home located in the core of downtown, then the Ville Marie neighbourhood would best suit your needs. This central neighbourhood is filled with endless things to do! One of the main attractions is the Place Ville Marie – a large, popular shopping mall with more than 75 restaurants and plenty of high-quality shops and stores. If you aren’t looking to shop, then visit the museums, churches, and cathedrals that are found within the area. The neighborhood is also home to Montreal’s arena and stadium, the Bell Centre, where you can catch any number of hockey games or touring events and concerts. 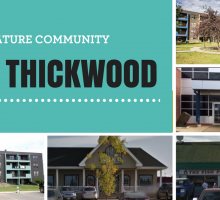 The neighbourhood currently has 54 rentals available with an average rental price of $1,310. Located closer to the north of the island of Montreal is the neighbourhood, Quartier des Spectacles. Just as the name suggests, there are spectacles found throughout the area that have dated back to the 19th century. The community is considered the arts and entertainment district of Montreal, and hosts activities all year long. Events, concerts, festivals, there is endless things to do in this area. The community has banded together to continue to improve the artistic influence in this area, and has a vision that is determined to “enhance its cultural assets” (as stated by the Quartier des Spectacles website). There are plenty of rentals available (currently 55 rentals on Rentfaster.ca), with an average price of $1,313 for those looking to live in this active neighbourhood. If you are seeking a more residential community that is located farther away from the city’s central, then consider the western part of the island. Located in the south-western area near the water is the neighbourhood of Dollard des Ormeaux. The town merged with Montreal in 2002, and has since been considered the more laid-back suburb to reside in. Just off the coast of Dollard-des-Ormeaux is a small island not known to many. The Island of Dorval is a ‘secret’ location that very few are familiar with. The community works hard to preserve the small lush island and is the perfect place to find some peace and quiet. It is home to a summer camp and country club, and is only open a few months in the year. There are currently 5 rentals available in Dollard-des-Ormeaux with an average listing of $875. Named after the First Nations people who once lived there, the Hochelaga-Maisonneuve is now the place where the Olympic Stadium resides. The homes in this area are mainly apartment buildings and town homes, and are located only a short 15-minute drive from the downtown centre (or 30 minutes by transit). This eastern neighborhood has access to a number of smaller shops and cafes, perfect for those wanting to reside away from the buzz of the city central, but still be in close proximity. Maisonneuve is one of the more expensive neighbourhoods to rent in Montreal, with an average rental listing of $1,517. Currently, there are only 4 rentals available in this neighborhood. Home to green parks, museums, and just north of the downtown core is Le Plateau-Mont-Royal. This neighbourhood is said to be one of the prettiest in Montreal with its colorful murals and beautiful architecture. The area has a younger bohemian feel and features a number of cozy coffee shops, tasty eateries, and exciting night life bars. 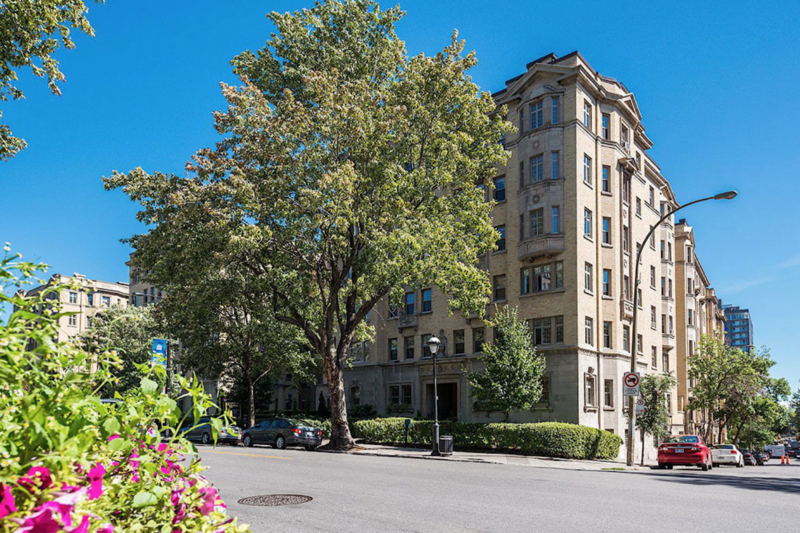 A quick drive down Boul St-Laurent will carry you to every amenity you could possibly need. The neighbourhood is also known for the number of events and festivals throughout the year. Come eat, be entertained, and enjoy! Rentfaster.ca currently has 38 rental listings in the Le Plateau-Mont-Royal neighbourhood with an average price of $1,403. The Little Burgundy neighbourhood is one of the best to rent in Montreal. Located in the southern part of the island, Little Burgundy actually used to stand independently from Montreal. This European styled area is trendy and is home to a number of antique stores. If antiquities are not your thing, then you may find yourself closer to Notre-Dame Street. Here there are high end restaurants and cafes that have only appeared in the past few years (a transformation that took the neighbourhood from blue collar to higher end style). There are 38 rental listings available in this area with an average price of $1,361. More commonly known as ‘The Village’ by the locals, this neighbourhood is one of the more popular one’s to rent in Montreal. The Village is between Rue Sherbrooke and the St. Lawrence River, making it a beautiful spot to go and enjoy the views of the water. This neighbourhood is energized, colorful, and upbeat, and is home to a number of pubs, restaurants, and other entertainment options. The neighbourhood is actually the largest gay village in North America. It is known for the 200,000 pink balls that hang over Sainte-Catherine, an architectural piece that is sure to be posted on Instagram. There are currently 43 rentals available in Gay Village with an average rental price of $1,378. On the south-eastern part of the city are a number of smaller islands, here is where the Cite du Havre neighbourhood lies. Also called ‘The Islands,’ this area sits alongside the St Lawrence River, guaranteeing a beautiful view. The area is home to the famous architectural residence of ‘Habitat 67’ (created by Moshe Safdie). This stunning building is uniquely styled to appear as though cubes have been piled upon one another, towering above the water. Although the cubes are not available for rent (purchase price of a ‘cube’ can cost up to $600,000), there are some rental listings in the surrounding area. There are 27 listings available on Rentfaster.ca with an average price of $1,286. Whatever style of life you lead, let it lead you to Montreal! 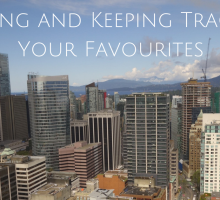 Find entertainment, beauty, accessibility, and culture in this diverse city. For more rental listings, visit Rentfaster.ca to find your perfect home!